Managing Director of Enterprise Management International, Mr. Reyes has strong experience in management, strategy and financial arena, Mr. Reyes was Senior Partner in KPMG for several years as a consultant Partner, participated and managed projects in Strategic, Business development, Corporate Governance, Restructuring Companies, Architecture design Organization, Business performance improvement and process design and implementation , developing aggressive Business Model, Merge and Acquisition, Business Intelligence projects related to Organization, processes, technology and Finance and Supply Chain Management has conducted several training and workshop for several Organizations in the Financial sector and other Industries in Latin American and central Americas countries. The principal areas of study of Mr. Reyes are: Quantitative Analysis, Financial Accounting, Managerial Economics, Valuation and Financial Analysis, Management Accounting Control System, Corporate Finance, Economics and Public Policy, and International Finance as well in Business Strategy, Corporate Strategy, Information System, Operation Management, Strategy and Process, and Project Management. Associate Director of Enterprise Management International, has solid experience of over 30 years in financial services strategy, Mr. Debera was Managing Partner of KPMG in Venezuela and managing partner of the executive committee and KPMG Peat Marwick in Latin America, Audit Partner , specializing in audits of banks, in charge of the audit practice of banks in Venezuela. His professional experience is concentrated in the financial sector with a solid background, participate in projects Merge and Acquisition, Corporate Finance and Banking reorganization of Insurance both nationally and internationally, in sector strategy Banking and Insurance, due dillingence, management integrated risk in different financial institutions, capital adequacy assessment and feasibility of financial institutions. 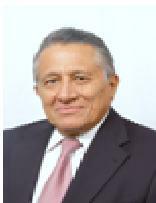 He has been Superintendent of Banks in Venezuela, International Consultant International Monetary Fund (IMF) on banking supervision and prudential regulation: Nicaragua Dominican Republic, Mozambique, Africa and the Superintendency of Banks and Insurance of Ecuador, in the planned project to improve processes of inspection and supervision of financial institutions, based on risk, according to international best practices. Consultant International Development Bank (IDB) in Superintendency of Banks of Panama to assist in strengthening the process of risk-based supervision and development of a proposal for strengthening the monitoring scheme.